The US and the Afghan Taliban have been engaged in talks since 2018- rounds of talks were held episodically. In July 2018 US officials held meetings with representatives of the Afghan Taliban in Doha, a second meeting- spearheaded by Khalilzad- was held in October 2018, the third round of talks were held in UAE- which reportedly included representatives from Saudi Arabia, Pakistan and the UAE. Recently, the 4th round of talks scheduled in January 2019- were canceled. This cancelation was followed by news of a likely Afghan Taliban withdrawal from the peace talks. According to a press statement issued by the Taliban- “The US agreed during a Doha meeting in the month of November 2018 about discussing the withdrawal of foreign forces from Afghanistan and preventing Afghanistan from being used against other countries in the upcoming meeting, she now is backing away from that agenda and is unilaterally adding new subjects. Hence the Islamic Emirate warns the United States that if the current state of affairs continues, then the Islamic Emirate will be forced to stall all talks and negotiations until America ends her unlawful pressures and maneuvering and steps forward towards true peace”. Amidst these happenings- it was reported that Pakistani authorities had detained a senior Afghan Taliban official in a possible attempt to get the Afghan Taliban to meet with representatives of the Afghan Government along with Khalilzad. Shortly after the news of the arrest broke, the Afghan Taliban issued a statement accusing the US of “exerting unlawful pressure by enticing other countries”. The Taliban’s recent statement was issued in the backdrop of Zalmay Khalilzad’s, third multi-nation trip on Afghan peace. 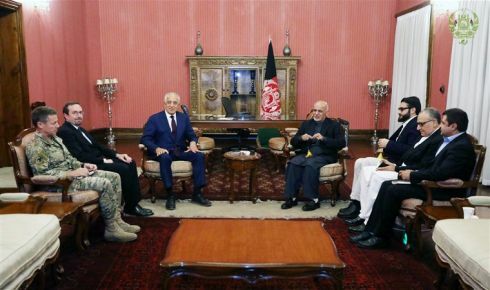 According to some reports – Khalilzad was expected to meet Afghan Taliban representatives through Pakistani facilitation, but the Taliban rejected to meet. Reportedly, Taliban have said that the detention of Hafez Mohibullah was also an attempt to put pressure on the Taliban. According to an Armed Services Senate Hearing in Oct 2018- “much of the responsibility for the failures in Afghanistan rests with the prior administration, which was consistently more interested in leaving Afghanistan than succeeding there. As a result, for most of the past years, commanders on the ground had to fight the war with restricted authorities and rules of engagement, insufficient resources, political micromanagement, artificial deadlines for withdrawal. The President was quoted as saying that, “Conditions on the ground, not arbitrary timetables, will guide our strategy from now on and to have a political settlement with Afghan Taliban”. The questions posed during the hearing entailed: What are those conditions? What kind of settlement the administration seeks? On what timeline? what role the United States intends to play in bringing it about, or what role we expect other nations to play? The confusion within the US administration on the way forward in Afghanistan- recently surfaced when the news of approximately 7000 US troops withdrawal from Afghanistan broke out. Reportedly, there has been push back against President Trump’s proposed drawdown. Trumps divergent views with the Pentagon also became visible in the wake of Former Secretary Mattis’s resignation. The Pentagon is seeking a free hand and reduced political micromanagement on the ongoing conflicts. All this is taking shape with the US presidential elections approaching in 2020- due to which the Trump administration may be feeling pressure to bag political wins- especially on US involvement in global conflicts. Another major aspect of the new strategy for Afghanistan was to shift focus away from nation building and instead focus on training of the Afghan security forces- this approach has also not produced very fruitful results- the rate of insider attacks and desertions of Afghan security forces enhanced in the year 2018. The Afghan Taliban also continues to hold vast swathes of territory in Afghanistan- broadening the control of Afghan government over territories remains a challenge. The regional situation is also precarious- owing to US oscillations with China, Iran and Russia – which is impacting the situation in Afghanistan- therefore it remains unclear how the US intends to regionalize the Afghan situation and get all players on board. 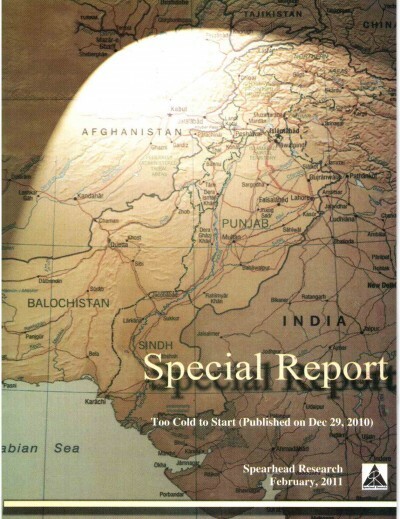 Currently, it is believed that the Afghan Taliban are exponentially gaining political legitimacy either by enhanced US interaction with the group or by bigger regional powers offering them a political platform. Presently, it appears that the Afghan Taliban carries significant leverage. A hasty US withdrawal from Afghanistan- may also reverse any gains made- that may deteriorate conditions. The US may need to change its regional approach, engage with bigger regional powers in order to devise a coherent solution for Afghanistan- and amidst the current dynamics, Pakistan needs to explore ways to re-orient its ties with US. Ever since Zalmay Khalilzad was appointed and President Trump personally reached out to Pakistan for help Pakistan has been consistent and up front to support the reconciliation process. By agreeing to host the next dialogue with the Taliban in Islamabad Pakistan has taken a step that brings it directly into negotiations with the Taliban. It should however be noted that the demand that Afghan Taliban should hold dialogue with the Afghan government is unreasonable from their point of view. Taliban have been fighting them for almost 18 years and they recruited young men using the plea that they are struggling against foreign occupation and their proxies. Taliban were labeled terrorists and traitors by Americans and their Afghan proxies. In other words, they were considered illegitimate for 18 years and now finally they have earned legitimacy from almost all world powers. They will be delegitimizing themselves if they sit on a dialogue table with the Afghan government. It will also demoralize their troops as all their past sacrifices will become void. So this demand is unreasonable and should be given up if we want talks to progress. On the other hand, Americans have spent time, money and lives to build up an Afghan government and they cannot walk away from them to please Afghan Taliban. They would also want their own support group to retain influence in Afghanistan. There has to be a middle way. One way is that the results of the last Afghan parliamentary election held in October 2018 should be certified as soon as possible. From among elected parliamentarians, a group should be selected by Americans as representative of Afghan people. This group should be announced by Americans rather than Ashraf Ghani government. All parliamentary parties and demographic balance should be maintained in the selection of this group. This group of people should be brought together with Afghan Taliban to discuss the roadmap for a political solution. Eventually, any constitution drafted has to be ratified by the parliament anyway.A second option could be the creation of a committee by Americans comprising of political figures but these people will not have a mandate as compared to parliamentarians.